Music composed by Tom Raybould. Set in the near future and with the world plunged into another cold war; Britain’s Ministry of Defense is on the verge of developing a robotic soldier. This soldier, called The Machine, looks and sounds human, but has the strength, speed, and ruthlessness beyond that of any living person. The project is near completion when a bug in the programming, a side effect of it being too close to human coding, causes the prototype to destroy the lab and everyone in its path in spectacularly violent fashion. Undeterred by this setback, lead scientist Vincent McCarthy enlists the help of an artificial intelligence expert to help him harness the full potential of a truly conscious fighting machine. 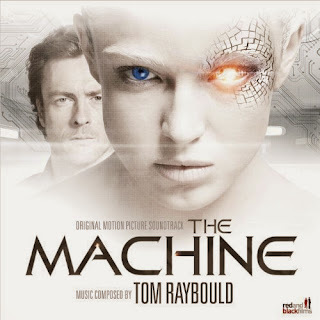 The movie soundtrack of The Machine will be released on April 22, 2014 by MovieScore Media.